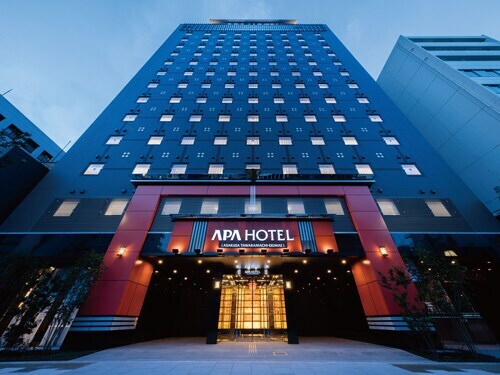 Located in Taito, this hotel is within 1 mi (2 km) of Tokyo Bunka Kaikan, Ueno Park, and Sensō-ji Temple. Ameya-Yokochō and Kaminarimon are also within 1 mi (2 km). Inaricho Station is only a 3-minute walk and Tawaramachi Station is 9 minutes. 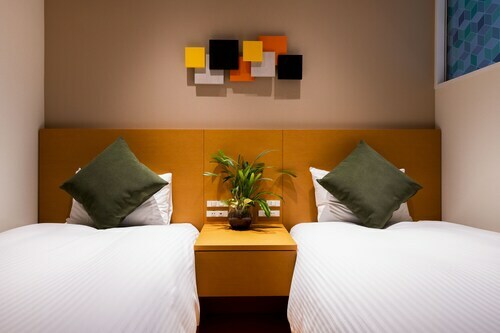 Located in Ueno, this hotel is within a 15-minute walk of Ueno Park, Ameya-Yokochō, and Tokyo National Museum. Sensō-ji Temple and Ueno Zoo are also within 1 mi (2 km). Tokyo Ueno Station is only a 5-minute walk and Iriya Station is 8 minutes. 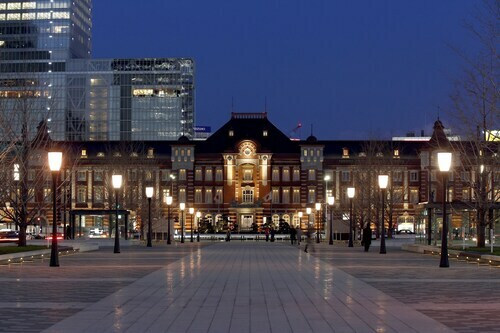 Located in central Tokyo, The Tokyo Station Hotel is perched atop Marunouchi Subway Station - guests can walk to the platforms in 4 minutes. The Imperial Palace is a 10-minute drive, and the art exhibits at historic Mitsubishi Ichigokan Museum are an 8-minute walk. 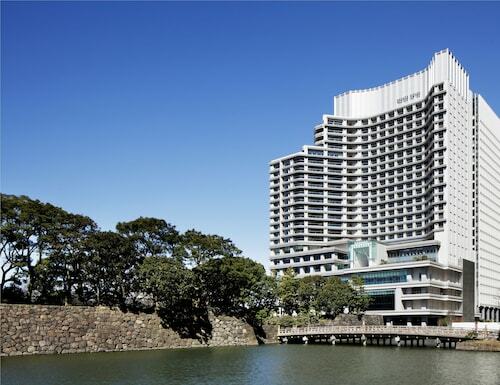 This family-friendly Tokyo hotel is located in the business district, within a 5-minute walk of Museum of the Imperial Collections and Wadakura Fountain Park. Ninomaru Garden and Masakado Kubizuka are also within 10 minutes. Otemachi Station is 8 minutes by foot and Nijubashimae Station is 9 minutes. How Much is a Hotel Room in Tokyo? 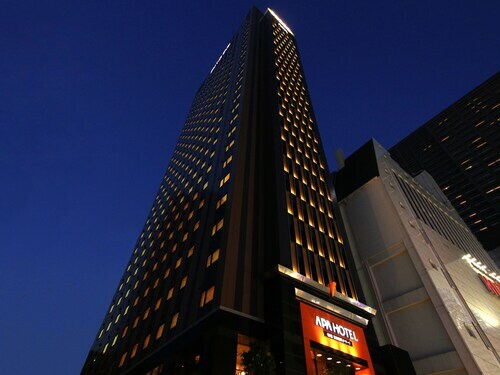 Hotels in Tokyo start at C$50 per night. Prices and availability subject to change. Additional terms may apply. You might find it hard to believe that Tokyo, the world’s most populous city, was once a small fishing village called Edo. But it’s that evolution from the tiny to the titanic that epitomizes this cosmopolitan city at its core. Here we have a metropolis that embraces reinvention and which incorporates traditions from the past with practices of the present. 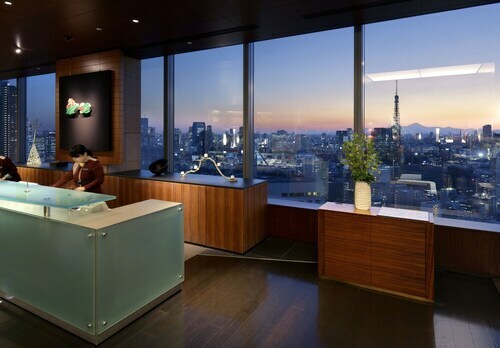 And all of this is yours to discover when you book a stay in one of Travelocity’s Tokyo hotels. Manhattan Table: Located on the 25th floor of the main building, the rooftop Manhattan Table is a posh restaurant serving a menu of California cuisine fused with authentic Japanese flavors. With an incredible view and exceptional menu, you might just think you’re dining in NYC. Baron: Offering breakfast, dinner, and tea in between, the hotel’s upscale café and bar is located on the third floor and invites guest to also visit them in the evening for an after-dark drink. Shabu-shabu: Situated on the first floor of the annex building, Shabu-shabu serves up traditional Japanese breakfasts and dinners in an atmosphere that’s ideal for couples, small groups, and large corporate meetings. Serari-geihinkan: In the mood for a traditional Chinese buffet? Pay a visit to Serari-geihinkan on first floor of the main building, or head one flight up for a seat at Yakichi, offering authentic Japanese breakfasts all morning long. 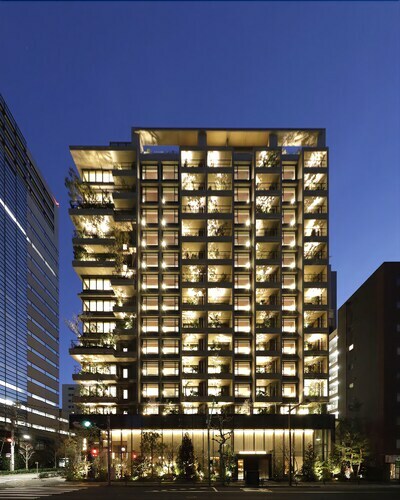 Dining: Among the finest gastronomic hotels in Japan, the Cerulean Tower boasts 11 on-site restaurants including ones that specialize in French, Italian, and Chinese menu items. There’s even an American-style jazz club to enjoy. 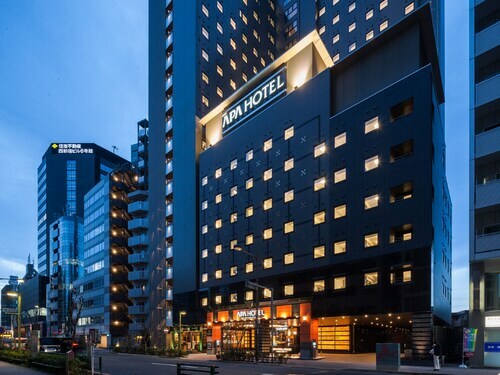 Location: Located within a five-minute walk from Shibuya Station, a stay at this hotel makes it easy to hop aboard any of eight train lines that can deliver you to the farthest corners of the country. Salon: Reward yourself with sumptuous spa treatments at the Tower’s 39th-floor salon, which provides panoramic views while you get pampered. Event space: Offering nearly 25,000 sq. ft. of event space, this hotel has enough banquet rooms, ballrooms, and presentation technology to accommodate events of any size. Dining and drinks: With an unwavering commitment to taste, the Keio Plaza Hotel's on-site restaurant is led by skilled chefs who specialize in traditional Japanese, Western, and Chinese cuisine. And when you’re done eating, wash down your meal with a bliss-inducing drink from the hotel’s bar. Chapel: More than 36,000 couples have tied the knot at Keio Plaza’s permanent chapel, even including some second-generation newlyweds who’ve followed in their families’ footsteps. Dining: Craving Italian? Stop for a meal at Virattsua, the hotel’s authentic Italian grill serving up pasta, seafood, and other classic menu items baked in the kitchen’s stone oven. Salon services: Treat your body and mind to a relaxing session at Salon Sanatio, where you can expect services and treatments to restore you inside and out. 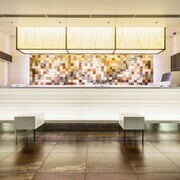 Bar: In the mood for a nightcap? Stop by the fireside Bar Kyu, where traditional drinks and flickering candles can help you unwind at the end of a long day. Event space: Featuring an assortment of meeting rooms and banquet halls separated by movable walls, the Hotel Sunroute has everything you need to host a winning event of any size. Travelocity takes all the hassle out of booking cheap hotels near Tokyo, so you can enjoy your trip without any headaches. 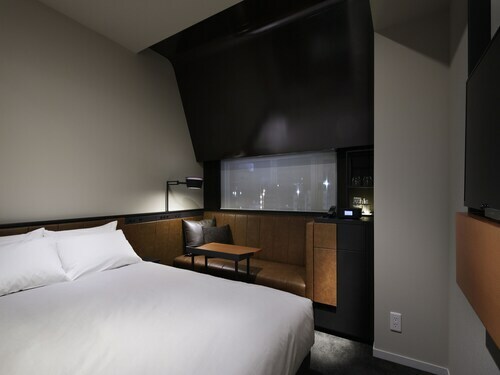 No matter what time of year you’re traveling, or how many people are in your party, you’ll find the best deals on hotel rooms in Tokyo right here on our site. 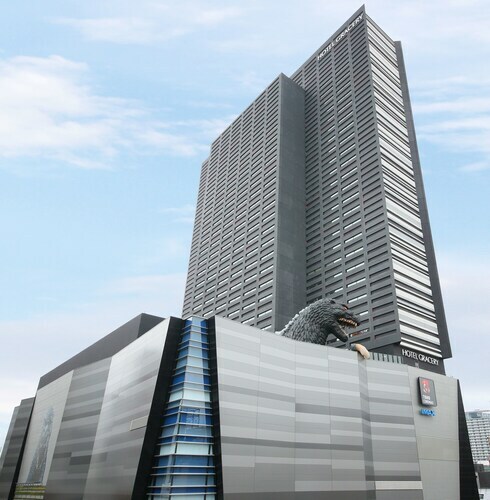 Reserve your room today, and you’ll be touring around downtown Tokyo before you know it. 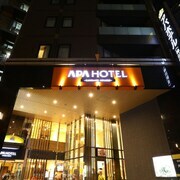 I am so happy to have found this elegant and comfortable hotel for our first trip to Tokyo. Excellent, friendly service, quiet spacious rooms, comfortable beds, truly the best hotel bathroom I’ve ever experienced. Excellent room service. Perfect location for neighborhoods to walk around, and also near Shibuya Station which places all of Tokyo at your feet by train or subway. 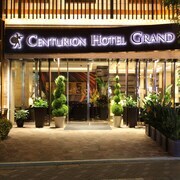 After a long day exploring Tokyo, “coming home” to The Cerulean Tower was a delight. The beautiful views of Tokyo never disappointed, and it was a luxury to be high above the hustle and bustle. THe hotel is great value for everything it offers. Highest recommendation! Will return! This hotel was near to train/subway stations and lots of shopping! The staff was exceptionally polite and friendly. The rooms are smaller if you're expecting a "western" style hotel room. But everything is very, very clean and it is a great location. Public bath is so good ! Very good location. 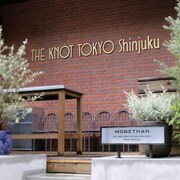 Easy access to the major spots in Tokyo. My plan had a free breakfast which was very very good. The hotel is gorgeous and the location is just wow! The area is bright and lively to say the least. The rooms are small but the bathrooms are a great size. We suggest to get the breakfast buffets with the package deal but go early or there will be a wait. 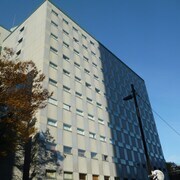 Hotel is centrally located with a bus going to Shinjuku Train station every couple of minutes for $1.00. At night the area is a bit different but we were usually so tired from our day trips we only hung out in the hotel at night. 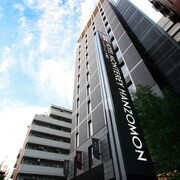 There is a 24hr 7-11 on the bottom floor as well as close proximity to the DR Zone and Shinjuku station. The cleaning staff is awesome. For us the Gracery was the best choice and we highly recommend this hotel.